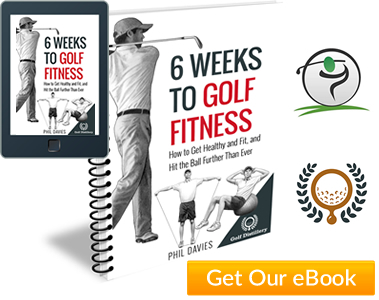 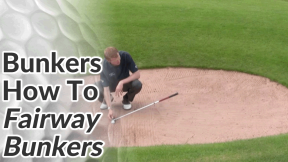 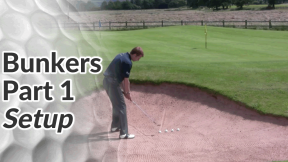 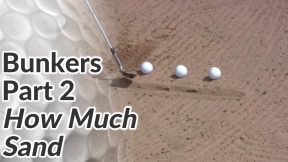 Golf Tips / Short Game Tips / Bunker Tips / Golf Bunker Shots Part 2 – How Much Sand? 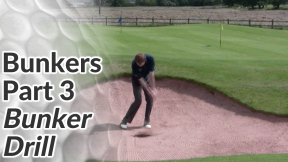 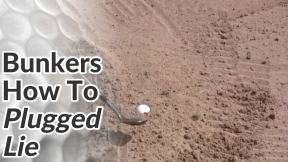 Golf Bunker Shots Part 2 – How Much Sand? 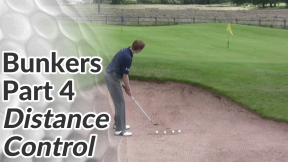 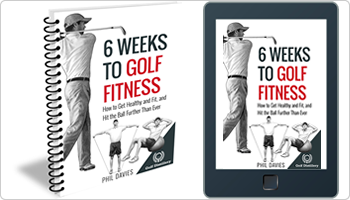 Most golfers appreciate that they need to strike the sand before the golf ball. 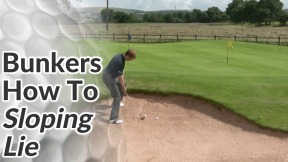 But I think a fear of hitting the ball thin and seeing it shoot off over the other side of the green, causes them to consistently take too much sand. 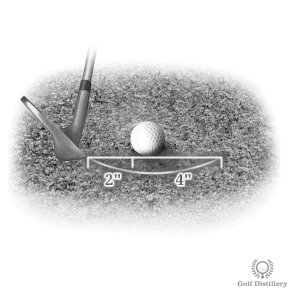 Aim to strike the sand 2 inches behind the ball. 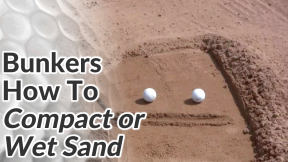 Pick a spot in the sand behind the ball (rather than the golf ball itself) and focus on this point of impact during your swing. 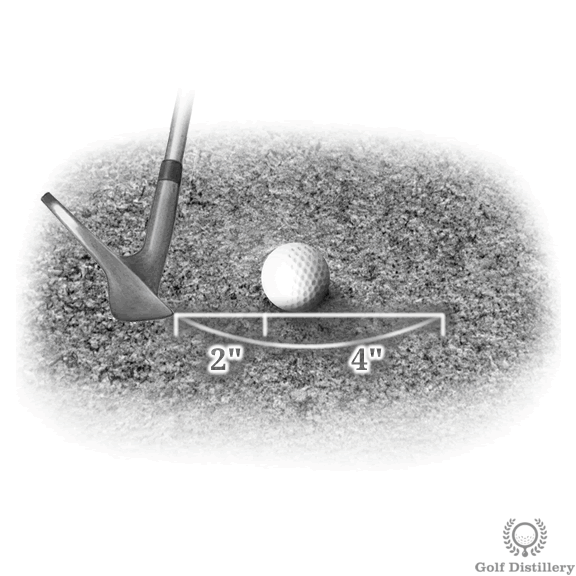 A good sized divot in the sand is about 6 inches in length (2 inches before the ball and 4 inches after) and an inch or two deep. 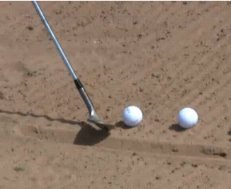 Any more sand than this and it becomes very difficult to get the ball out of the bunker without making a very aggressive swing.